Come feast your eyes on this designer home from Neal Communities. "Clear Day" model on a premium water view lot and it is loaded with upgrades. Freshly painted and decorated with new stunning ceramic click plank tile flooring in all bedrooms. There is no wasted space in this home it offers so much with its 3084 sq ft of functional space. Something for everyone whether you work from home and need X2 DEN/OFFICE spaces a toy room or work out area. This split floor plan has an enormous BONUS ROOM that can be used as a 4th bedroom since it has a walk-in closet and half bath along with it too. The stylish designer kitchen is a cooks dream- with large quartz and granite countertops and all custom appliances. Open and spacious great room does not disappoint either from entertainment to relaxation picture yourself with friends and family gathering in this space. The whole house has plantation shutters beautiful crown molding in every room and custom audio. Take your stresses outside to the oversized paved saltwater pool and spa featuring a PebbleTec finish gas heater LED lighting that can be controlled from your smartphone anywhere in the world! 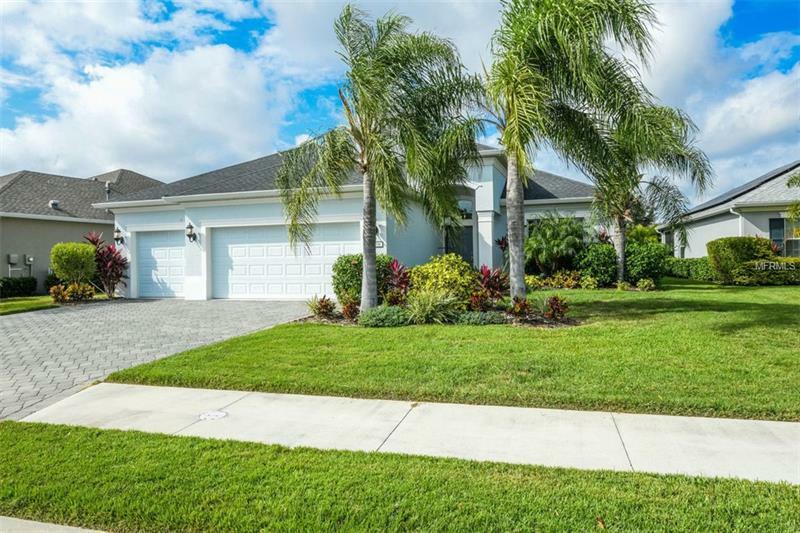 Central Park is an AWARD WINNING gated community within Lakewood Ranch offering 10 Acre Playing Field Tennis Courts Dog parks Splash and Play Park. "A" rated schools a short walking distance. Public and Private golf courses close to I-75 and only 25mins to downtown Sarasota and our beautiful world famous beaches. CDD fee included in Tax amount.